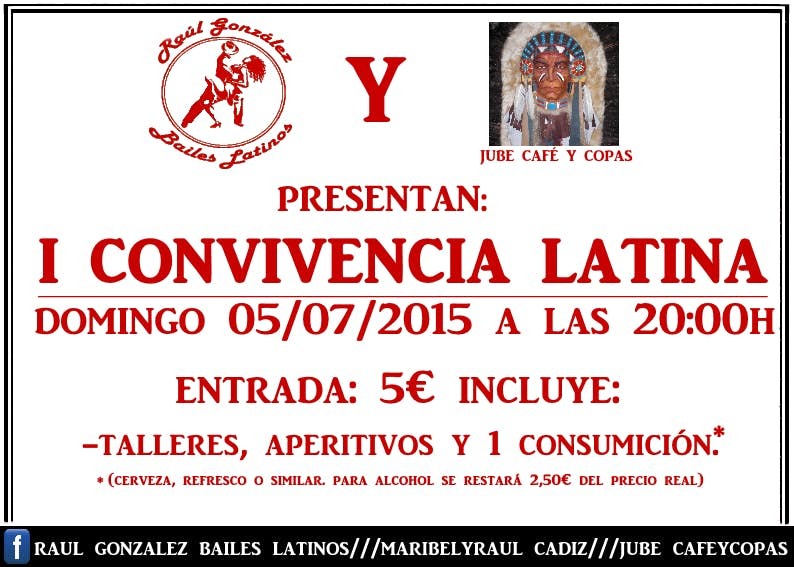 Sunday 5 July at 20: 00h we will celebrate the First Latin Coexistence at Jube Cafe and Copas (C / Velazquez, 15, Cadiz). Entry 5€ per person which includes: workshops, snacks and 1 drink (soft drink, beer or like alcohol is to subtract the real price € 2.50.). Now you can buy tickets on the phone 666717646. hurry to run out !!! We wait for you.